A checklist of 24 horse behaviors has proven effective in identifying horses with lameness from those assessed as sound. Certain behaviors were found to occur more often in lame horses than in sound horses, including ears back, mouth opening, tongue out, changes in eye posture and expression, going above the bit, head tossing, tilting the head, an unwillingness to go, crookedness, hurrying, changing gait spontaneously, poor quality canter, resisting, and stumbling and toe dragging. “Recognition of these features as potential indicators of musculoskeletal pain may enable earlier recognition of lameness and avoidance of punishment-based training,” Sue Dyson and her colleagues reported in the Journal of Veterinary Behavior. However, the study team stressed that further research was necessary to verify this new catalogue of animal behaviours – known as an ethogram – for assessing pain in ridden horses. Dyson, who is head of clinical orthopedics within the Centre for Equine Studies at Britain’s Animal Health Trust, has been involved in a series of studies into behavioral and facial indicators of lameness in horses. 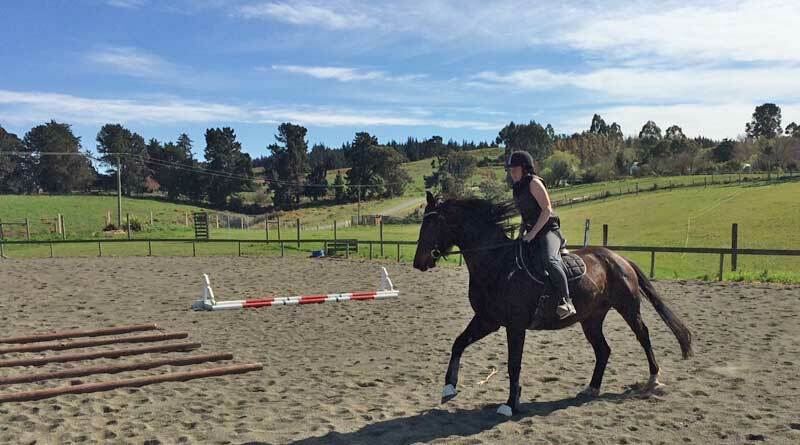 The researchers said there was evidence that more than 47% of the sports horse population in normal work may be lame, but it was not necessarily recognised by owners or trainers. They set out to develop the ethogram for ridden horses and to determine whether it could be applied repeatedly by one observer. The researchers had expected there would be some overlap in pain behavior scores among non-lame and lame horses but that, overall, the sound horses would have a lower pain behavior score than lame horses. The ethogram was initially developed with 117 behavioral markers. The study involved 24 lame horses and 13 that were considered sound, all based on the assessment of Dyson, an experienced lameness clinician. The animals had varying degrees of lameness, graded 1-4 (out of 8). A trained veterinary specialist twice watched videos, each roughly five minutes, of each horse in motion, in random order, and scored them (with a simple yes or no on whether each behavior was seen) based on the ethogram. There was found to be a good correlation between scorings from the two viewings. Behavioral markers that were not consistent across the two assessments were omitted, reducing the ethogram to 70 markers. Further work and analysis resulted in the ethogram being simplified to 24 behavioral markers. The maximum individual score by a lame horse was 14 out of 24, with an average score across the 24 horses of 9. The maximum score among the sound horses was 6, with an average across the 13 animals of just 2. There was a particularly strong correlation between 13 of the behavioral markers and lameness, they reported. “The results suggest that a sum of occurrence score of 8 or more during a work period of 5 minutes would be highly suggestive of the presence of musculoskeletal pain,” the researchers concluded. The study team comprised Dyson, Jeannine Berger, Jessica Mullard and Andrea Ellis. The work was supported by World Horse Welfare and the Saddle Research Trust. Dyson, S., Berger, J, Ellis, A.D, Mullard, J, Development of an ethogram for a pain scoring system in ridden hors es and its application to determine the presence of musculoskeletal pain, Journal of Veterinary Behavior (2017), doi: 10.1016/j.jveb.2017.10.008.